One of the (few) good things about living in Wimbledon is being so close to Tooting. Whilst Wimbledon is full of high street chains, Tooting is a treasure trove of independent and cheap restaurants. There are countless Indian restaurants where you can grab an excellent value, excellent quality feast as well as a number of other options if you're not in the mood for a curry. There's still a lot of restaurants that Steve and I haven't been able to visit yet but for now here's a list of my favourites so far. I've only made it to Tota once, for brunch, but my crushed avocado on toast with two poached eggs was so good that I'm dying to return. The feta and lime really made this version of avo on toast stand out compared to other variations, plus the eggs were perfect. The actual restaurant has a lovely bistro vibe about it and with special evenings like steak night I think this would be such a great option for dinner, especially as the menu is reasonably priced. When it comes to Sri Lankan food, Tooting has it sorted. For an authentic menu, rough around the edges décor and cheap but quality food, Apollo Banana Leaf has hit the nail on the head. The food here is excellent which translates into a busy restaurant with empty tables being a rare occurrence. Book if you can or turn up early because if you're sent away without a meal you'll be sorely disappointed. 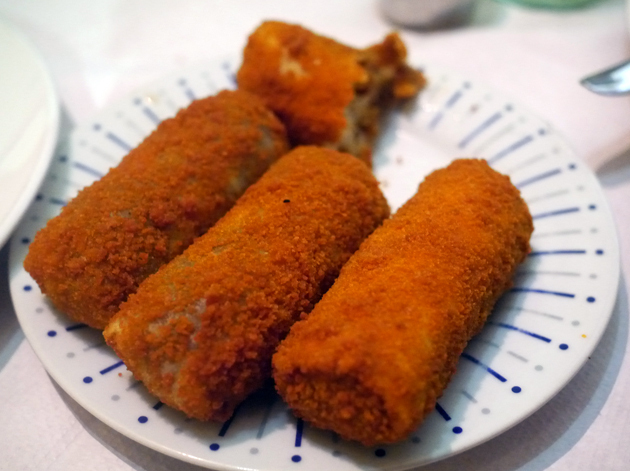 The aubergine curry and mutton rolls are two of my favourite things and I'll order these every time I visit. Whilst I'm not a huge fan of string hoppers (give me rice any day) they make an interesting option for soaking up the delicious curry sauces you wont want to leave. In terms of meat, the devilled mutton is a strong contender for best dish on the menu with it's hot flavours and tender texture. Best of all is that the food is cheap, seriously cheap, so much in fact that you'd be hard pressed to spend more than £15 per person. I really like Hoppers in Soho but every time I visit I can't help but think I'd rather be in Tooting spending a third of the price on a more authentic and probably better tasting meal. 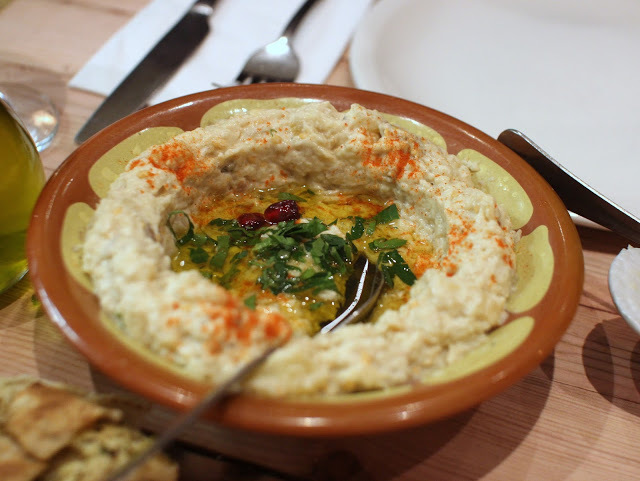 I've blogged about Meza before, and all for very good reason. This tiny Lebanese restaurant near Tooting Bec station (with a bigger site that I'm yet to visit near Tooting Broadway) is one of my all time favourites. The meze plates are so delicious (and cheap) that I've never actually ordered anything from the main menu as I'd rather pick at the smaller options. Some of my favourites include the baba ganoush; thin slices of cured beef; labneh; gilled halloumi and pitta bread; chilli and garlic lamb sausages; and the sautéed potatoes with garlic, coriander, pepper and chilli. A big meal for two people at Meza will set you back about £30 which is another reason I love it so much. Amazing food in London does not have to cost an arm and a leg and Meza is a fine example of this. Jaffna House is another star in the Tooting Sri Lankan food scene. The dining room is basically the house's living room which makes for a super cosy vibe, if not a little cramped. The menu has a lot of similarities with aforementioned ABF but still has plenty of it's own gems. I love the variety of bread options, from fluffy naans to hoppers and other Sri Lankan classics. The curry list is huge and can be a little intimidating for a non Sri Lankan expert so we usually steer clear of usual curry house classics and go for the likes of special mutton curry under the Sri Lanka speciality list. As with the theme of this post, this restaurant is cheap and cheerful. Last time I went the bill came to £60 for four people and a ridiculous number of beers. If you're in a pickle on what to order just ask the staff for a recommendation and they'll help you out. Sometimes we purposely order too much so we can take home the leftovers and have it all again the following night. Dosa n Chutny was the first Indian restaurant I ever visited in Tooting, thanks to a recommendation from a flatmate, and I've since returned time and time again. Don't be put off by the bright orange interior because this Tooting classic serves up wonderful, and you've guessed it, cheap food. The restaurant specialises in South Indian cuisine but you'll find your usual curry house classics as well. 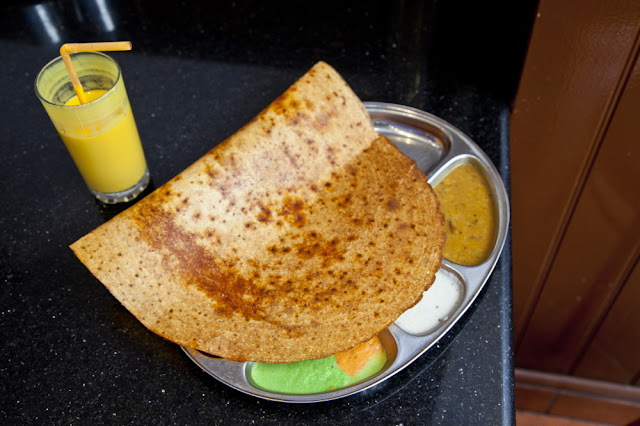 Always start with a dosa, the filled pancakes are wonderful. Crispy on the outside but soft once you reach the middle. I particularly like the special masala potato as it's tangy and moreish. The dosas come with an array for dips, the spicy lentil sambar and coconut chutneys are rich in flavour, spice and a hints of sweetness. They are addictive and really help make these dosas stand out. I love these round-ups of yours! Meza sounds amazing. Oh my goodness, these all look amazing, especially that avocado and feta!